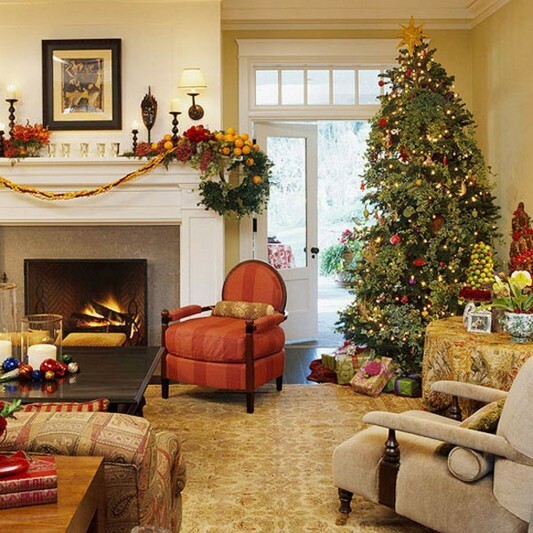 Celebrating Christmas with everything that is fun, but have you set up an attractive decor and bring the spirit of Christmas into your home, especially for the living room, which as one of the favorite gathering place with the family. 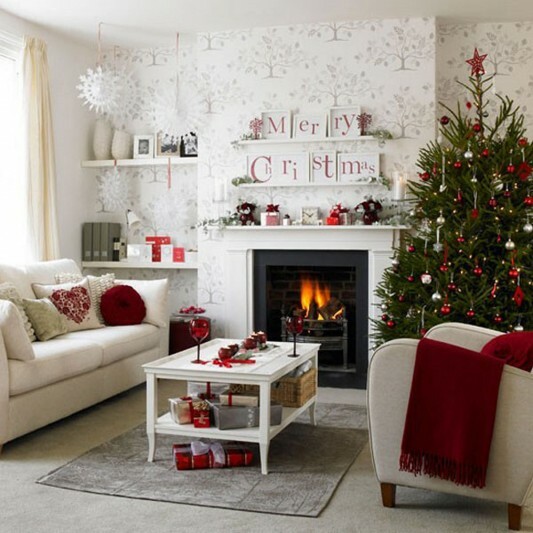 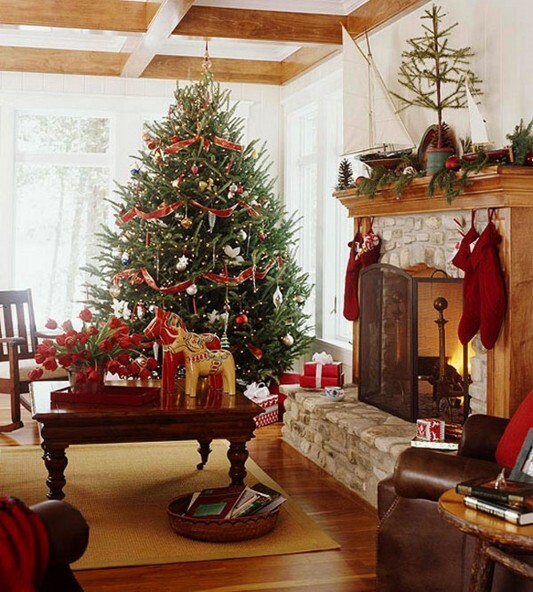 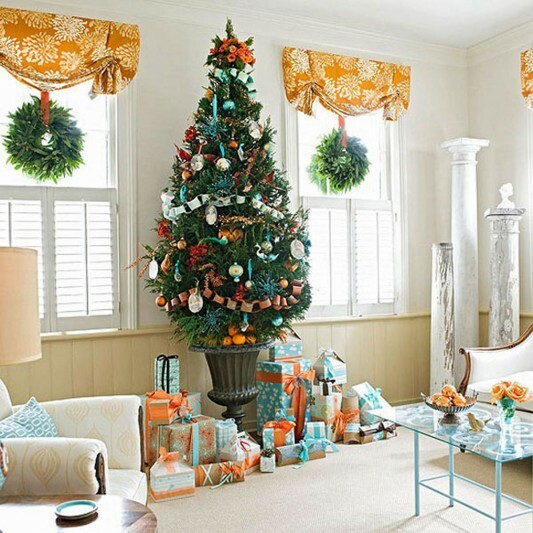 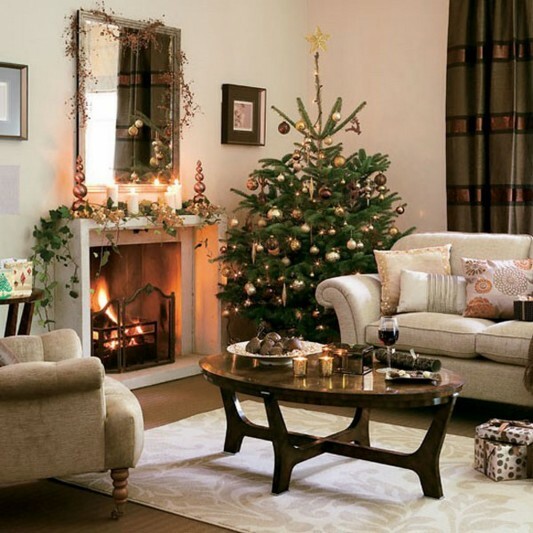 Here is an idea how to make your room a pleasant, with a pleasant Christmas atmosphere in it. 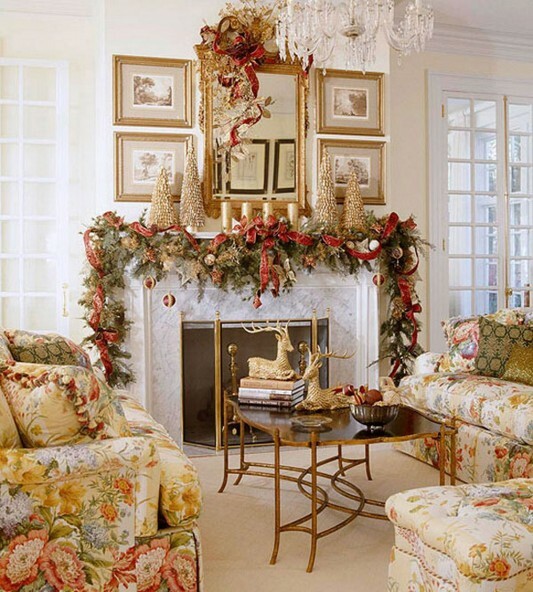 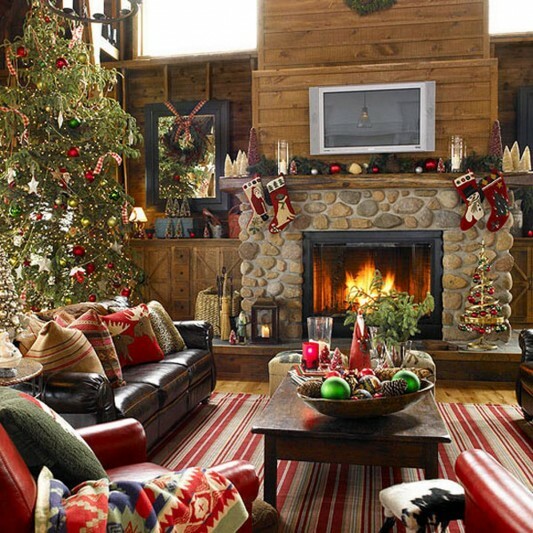 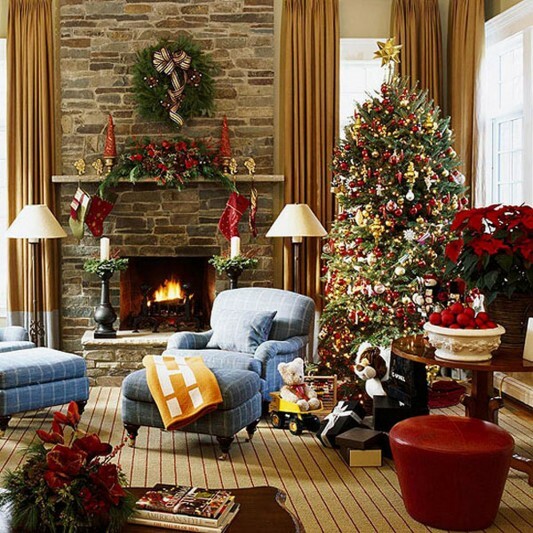 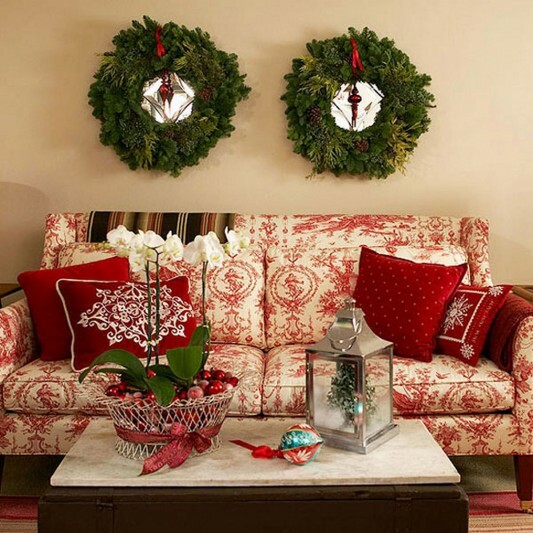 The decor is combined with your living room furniture, can be prepared a variety of charming holiday decorations. 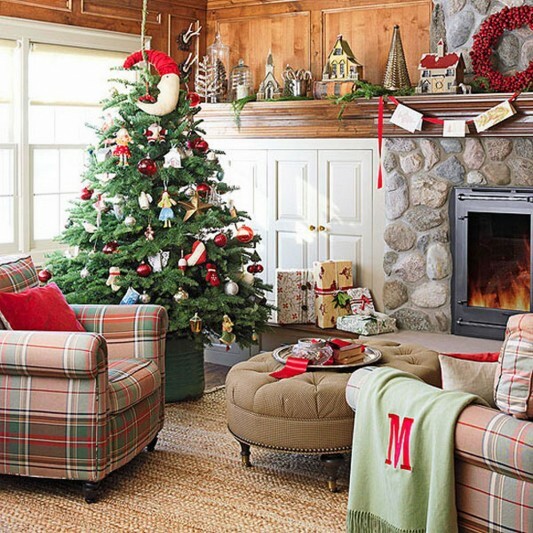 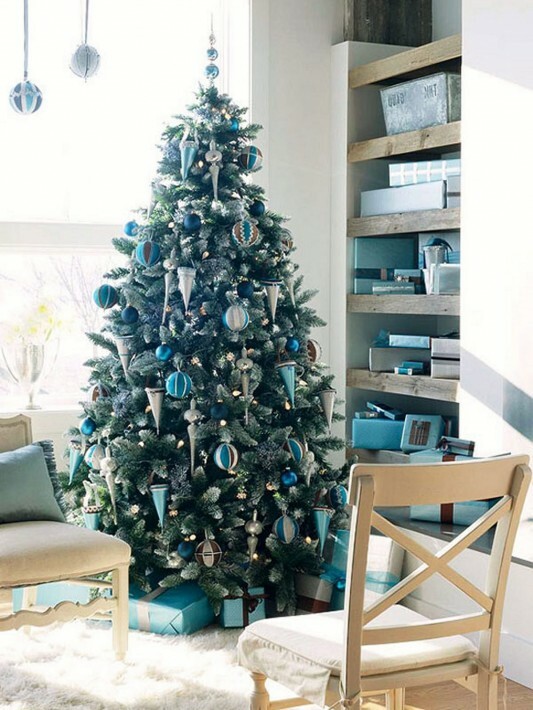 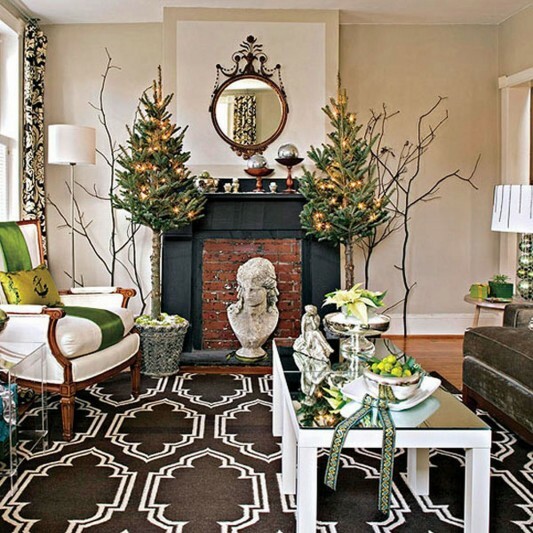 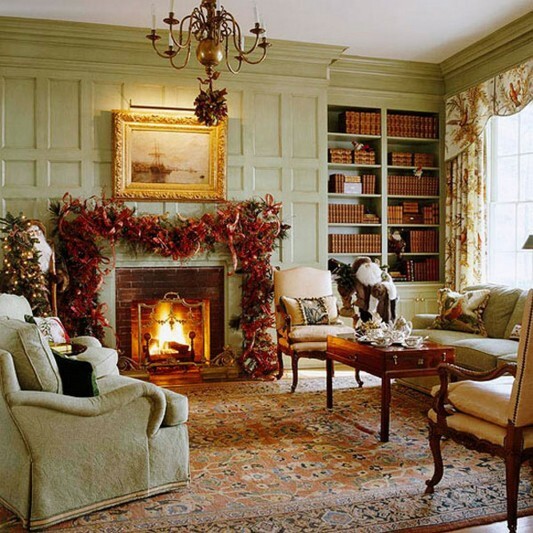 You can take a variety of themes, such as during winter, the theme of the green room with a fresh atmosphere, or even a room full of the typical Christmas colors. 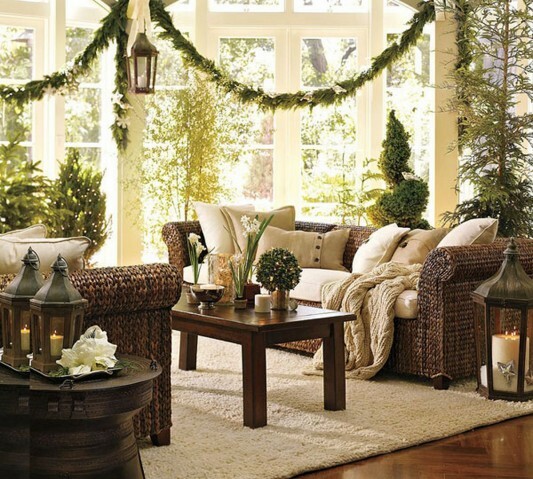 If you use furniture with materials and colors more natural, such as rattan and wood, probably the most interesting idea is to combine green decor inside.